Learn why finding the right health-care provider and birth place is important. Maybe you haven’t had a chance to start buying baby gear yet, but there are two important items that you can start shopping for now: a birth place and healthcare provider. It’s beneficial to understand your options, so you can make informed decisions for yourself. If you’re healthy and have a low risk of complications, studies confirm that having a planned birth at home or free-standing birth center is just as safe as at a hospital. Look for a comfortable environment that makes you feel relaxed and supported. This will help you through the important process of giving birth. If your goal is to give birth without medical interventions, know that you have a much better chance if you’re surrounded by people who share your birthing goals. Should the need for medical interventions arise, it is important to know which interventions are available at your birth place and what processes are in place should you need to be transferred to another facility during labor. Take some time to research your options and choose a birth place that is the best fit for you. 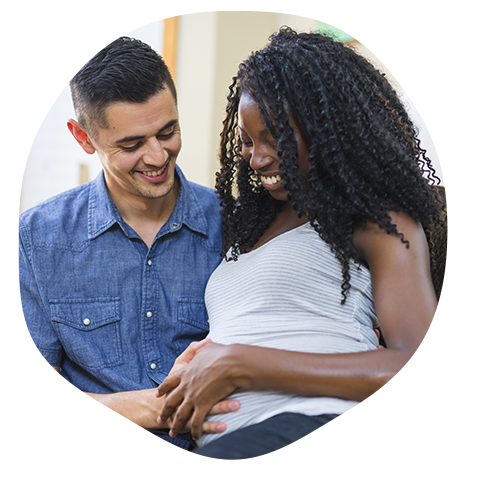 At a birth center or your home (attended by a midwife or pregnancy doctor), you’ll have a team trained in labor support that sees birth as a normal life event. If you have a serious medical condition, or are at a higher risk of developing a complication in pregnancy and/or labor, you will likely want to opt for a hospital birth with an obstetrician. If you choose to give birth in a hospital, there are also some things to know. Some hospitals routinely rely on medication and technology, rather than using them only for specific risks. If you speak with your doctor in advance, you may be able to avoid routine practices to align with your preferences. One example is to request intermittent electronic fetal monitoring, while the hospital may routinely provide continuous electronic fetal monitoring (EFM). You may also want to find out more about the cesarean birth rate at the hospitals in your area to reduce your risk of having one. It’s possible that your baby will not be delivered by your regular provider, so it is important to know about the hospital’s overall rate. Sometimes it can be harder to relax and work through your labor in a hospital, but it doesn’t have to be. Choose a hospital that encourages you to stay active in labor and limits restrictions (such as allowing you to eat or drink). The support and encouragement of people who know you and who care about you will help you feel supported. You may also consider hiring a doula. A doula is a professional support person who provides continuous emotional and physical support during labor and birth. Midwife – provides pregnancy and birth care. Midwives have a deep respect for the natural process of pregnancy and birth. Certified midwives (CMs), certified professional midwives (CPM) and certified nurse midwives (CNMs) have advanced training and have passed rigorous certification exams. Studies show that midwifery care is not just safe but is very appropriate for healthy, low-risk women. Family Physician – provides comprehensive medical care, including prenatal care. Most family physicians recognize that most pregnancies don’t require intervention. OB/GYN – specializes in the care of the female reproductive system, including prenatal care and childbirth. Family physicians and midwives will also refer you to an OB/GYN if complications arise. Ask your friends and coworkers who are already moms about their providers and interview those that sound promising. If at any time you feel uncomfortable with your healthcare provider or planned place of birth, it’s okay to look around or make a switch. The insight you gain during the months of pregnancy may lead you to change your mind, and that is okay.